As Turkish troops and armor cross the border as part of Operation Gunes (Sun), the embattled nation of Iraq is once more host to a major military offensive, this time in its remote and sparsely populated northeastern region. Surprising many who expected Turkey to wait until spring before launching its expected drive to destroy bases of the rebel Kurdistan Workers’ Party (PKK), the Turkish Armed Forces (TSK) appear to have taken the initiative in the decades-old struggle with a risky winter campaign. Despite the deep snow still covering this mountainous battleground, the TSK has taken advantage of optimal political conditions to preempt the PKK’s traditional spring offensive. Iraqi Foreign Minister Hoshyar Zebari described the raid as a “limited military incursion,” but one with the potential to “destabilize the region, because really one mistake could lead to further escalation” (BBC, February 23). The Turkish General Staff states TSK troops “will return home in the shortest time possible after its goals have been achieved” (Turkish Daily News, February 23). Those goals remain loosely defined as neutralizing “members of the terrorist organization PKK/ KONGRA-GEL stationed in the north of Iraq and to destroy organizational infrastructure in the region” (Hurriyet, February 23), but may also include an attack on the main PKK/Kongra Gel base in the Qandil Mountains, nearly 60 miles from the Turkish border. The Turkish press has been warned away from the area of operations. Minimal international reaction to a series of small raids and regular cross-border bombardments over the last year confirmed for Turkey’s leadership that opposition to a major strike on PKK targets in northern Iraq would only be minor—if civilian casualties could be held to a minimum. As a result, a major cross-border operation that was unthinkable a year ago has become reality today. The incursion began on the night of February 21-22 after an intensive cross-border bombardment by long-range artillery and aircraft. Operation Gunes is led by the 2nd Army Command in Malatya and overseen by the 7th Army Corps in Diyarbakir (Milliyet, February 22). Turkish infantry and Special Forces are receiving close aerial support from Turkey’s small fleet of Cobra attack helicopters. Transport helicopters are also being used to move elite Gendarmerie and Special Forces teams past difficult snow-bound areas. Thousands of men have been moved up to the border to prevent a PKK flight into Turkey’s southeastern provinces and to stand ready should Turkish forces in Iraq require reinforcements. Small bases with helicopter pads, thermal cameras and artillery have been set up near PKK infiltration routes in the Cudi, Gabar, Kupeli, Tanin and Kato mountains (Today’s Zaman, February 19). Turkish Special Forces are also using Sikorsky transport helicopters to assault PKK positions within Turkey near Sirnak (Milliyet, February 22). There are signs that PKK formations have broken into smaller groups in an effort to evade Turkish forces, some moving southward, deeper into Iraq. There are reports of confusion in the PKK ranks after some of their positions were bypassed by Turkish troops, leaving the fighters wondering what the TSK’s real intention was (Khaleej Times, February 24). Preparatory aerial and artillery attacks have disrupted PKK communications and sparked dissension within the movement’s ranks. Turkish warplanes continue to run dozens of sorties each day, with the PKK leadership apparently ranking as prime targets. The TSK also claims to have destroyed large concentrations of PKK military equipment, including explosives, anti-aircraft weapons and stores of land mines (Hurriyet, February 25). The PKK reported clashes almost immediately in the Zagros Mountains region near the intersection of the borders of Turkey, Iraq and Iran (Journal of the Turkish Weekly, February 22). Operations were also carried out in the Hakurk region, south of the Turkish border city of Cukurca, which is a main base for helicopter gunships operating across the border (Turkish Daily News, February 23; Hurriyet, February 25). The PKK claims to have shot down one helicopter near the border on Saturday, killing eight Turkish soldiers (Hurriyet, February 25). The TSK has acknowledged the loss of the helicopter, but mentions only “unspecified reasons” as the cause of the crash (Today’s Zaman, February 25). Warplanes and helicopters also work out of the military base at Diyarbakir, the scene of local Kurdish protests against the military operation. The actual size of the Turkish forces taking part in the raid is subject to some dispute—figures range from U.S. military estimates of a few hundred men to Turkish press reports of 15,000 soldiers (Hurriyet, February 23; Milliyet, February 22). One report claimed the participation of 3,000 members of Turkey’s Special Forces (CNN Turk, February 23). The Special Forces have been carrying out specialized training for months now at bases in southeastern Turkey in preparation for the attack. Defense Secretary Robert Gates confirmed that the United States is still supplying the TSK with real-time intelligence on PKK activities in Iraq. A White House spokesman also confirmed that Turkey had provided the United States with advance notice about its intentions (New Anatolian, February 23). The PKK note that Turkish warplanes inevitably follow U.S. surveillance flights (Firat News Agency, February 24). Heron unmanned aerial vehicles (UAVs) operated by private teams of Israeli personnel are also being used for surveillance and intelligence-gathering. After weeks of heavy aerial bombardment, PKK bases at Zap and Avasin are reported to have been overrun by Turkish troops carried in at night by Sikorsky helicopters with night-vision equipment. Special Forces teams in Zap were reported to be hunting Yucel Halis—also known as Aliser—a PKK commander who oversaw an October 2007 bombing in Semdinli that killed 13 soldiers. 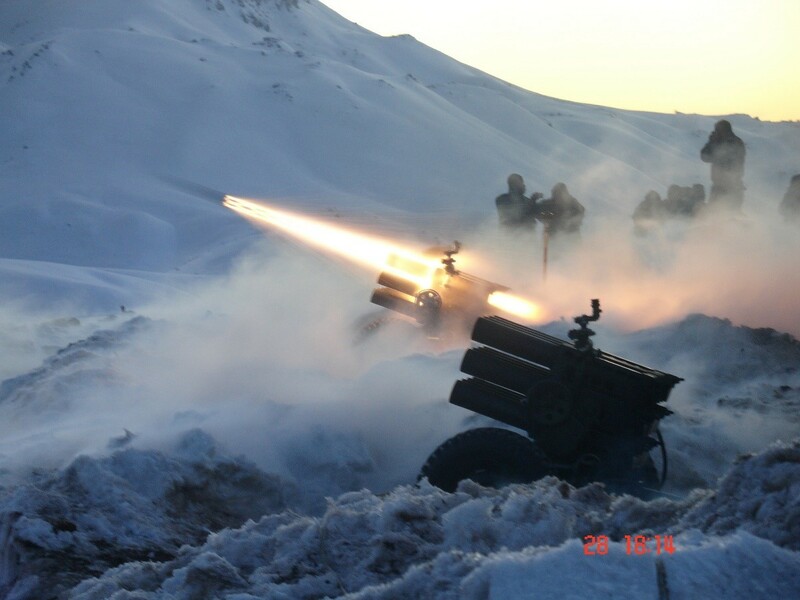 The Zap base was heavily defended by anti-aircraft guns and explosives placed around the perimeter (Cumhuriyet, February 26). Survivors were observed fleeing toward the PKK main base in the Qandil mountains after leaving behind booby traps and land mines to slow the Turkish advance. Some fighters attempted to escape in rubber boats down a small brook (Yeni Safak, February 26). PKK spokesman Ahmed Danis warned: “If Ankara continues its attacks we will carry out guerrilla operations in Turkish cities, trying to avoid the civilian population.” Unless Turkey ceased its raids into northern Iraq, the PKK “will move the theatre of combat to the heart of Turkish cities” (Gulf Daily News [Bahrain], February 24). Dr. Bahoz Erdal, the commander of the Hezen Parastina Gel (People’s Defense Force—the PKK’s military wing), has called on Kurdish youth in Turkey’s urban centers to unite and burn cars or do whatever else they can to make life in the cities unbearable. “In the big cities, Kurdish youth must give their reply to the military operations. Kurdistan’s guerrillas are not just 7,000 or 10,000, they number hundreds of thousands. They are everywhere …” (Firat News Agency, February 24). The offensive has solid support from most of the Turkish opposition parties, but the Kurdish-based Democratic Society Party (DTP) has questioned whether the PKK is the sole target, while also refuting the possibility of a military solution to the decades-old conflict: “The solution is possible solely within the borders of Turkey. The [ruling] Justice and Development party (AKP) has prepared its own end with the operation” (Turkish Daily News, February 23). The Kurdistan Regional Government (KRG) is seeking a withdrawal of Turkish forces and the implementation of three-way talks between Arbil (the KRG regional capital), Washington and Ankara. Though a statement from the office of KRG President Massoud Barzani warned of “massive resistance” in the event of civilian casualties, the Iraqi Red Crescent reports only minor civilian displacement and no civilian casualties in the opening days of the offensive (Reuters, February 23). Many people who use mountain pastures in the summer spend the winter in the plains or sheltered valleys, leaving the mountains largely empty of residents until spring. The KRG peshmerga militias do not usually patrol the region. Only a day before the raid, Barzani warned of Turkish designs on Kurdish northern Iraq and the danger arising from repeated violations of Iraqi sovereignty. “There is a limit to our patience. If Turkish raids continue against Kurdistan and continue to affect people’s lives, we will not keep silent much longer” (al-Arabiya TV, February 25; Kurdish Globe, February 25). The peshmerga have been put on alert, but Barzani has urged the 80,000-strong Kurdish militia to show restraint in dealing with the incursion. On their part, the TSK has said in reference to the peshmerga that “local elements that do not resort to hostile acts against the Turkish Armed Forces” will not be harmed (Today’s Zaman, February 22). The KRG reported a confrontation between the peshmerga and a detachment of Turkish troops, stationed on the Iraqi side of the border under a 1996 agreement with Baghdad that allows for Turkish monitoring of PKK activities in northern Iraq. A spokesman claimed that Turkish troops and armor tried to leave their camps near Duhok in defiance of the conditions of the agreement, but were forced back by units of the peshmerga (Today’s Zaman, February 22). Local sources reported that the peshmerga surrounded the Turkish troops and threatened to open fire, but both peshmerga authorities and the Turkish General Staff have denied the incident ever occurred (Hurriyet, February 24). More peshmerga units are being moved into the Duhok area, close to Turkish operations in the Hakurk region (New Anatolian, February 22). Other peshmerga have been moved to the Zakho, Amadiya, Sersing and Kanimasi regions along the Turkish-Iraqi border (Anatolia, February 24). As Mowaffaq al-Rubaie, Iraq’s national security advisor, warns, the longer Turkish soldiers stay inside Iraqi territory, the more likely a confrontation between Kurdish peshmerga and Turkish troops becomes (Hurriyet, February 26). Reports continue that Turkish garrisons inside Iraq are taking unspecified “measures” to prevent fleeing PKK fighters from melting into the local Kurdish population (Today’s Zaman, February 25). The TSK has also made it clear that it expects “local Iraqi groups” (i.e., the peshmerga) to “prevent the PKK terrorist group members from entering their region and finding safe haven there.” Iran, whose Revolutionary Guards have also been engaged in fighting against Qandil-based Kurdish separatists, has moved troops up to its northern border with Iraq to prevent Kurdish fighters from seeking refuge across the frontier (Today’s Zaman, February 25). After more than a year of intensive political and military preparation, Ankara is determined to make an end of the PKK. Despite politically necessary threats of “massive resistance,” the KRG has too much at stake to risk all in support of radical Marxists from across the Turkish border. The carefully engineered political conditions are so right for the timing of this offensive that it is taking place at a minimal diplomatic cost. The question is whether this is yet another in a series of limited Turkish attacks on the PKK that will fail to bring the struggle to a conclusion. There are abundant indications that Turkish forces will now go so far as to march into the main PKK base at Mount Qandil to eliminate the PKK threat. Operation Gunes is clearly having a devastating effect on the PKK leadership and infrastructure, but an intensive diplomatic and political campaign will be required to sustain and preserve the TSK’s success in delivering a decisive blow to the threat of PKK militancy. After the recent admission by some of Turkey’s leading former military commanders that the military option was not the best or only way of resolving Turkey’s Kurdish problem, it is now becoming clear that the ruling Justice and Development Party (AKP) is taking a new direction—looking for a solution in Islam. Ottoman nostalgia is an important element in the AKP’s approach, which hearkens back to a time when Turks and Kurds were united under Islam and the caliphate. In turning to Islam, the AKP is entering into a three-way struggle to mobilize Kurdish Islam for political ends following years of insurgency and terrorism led by the radical secular nationalists of the Kurdistan Workers’ Party (PKK). Revising their approach, the PKK is now beginning to vie for the support of southeastern Turkey’s conservative Kurdish community. This support is also sought for other purposes by more shadowy groups like the Turkish Hezbollah and even Turkey’s far-right “deep state” extremists. With the entry of the Kurdish Democratic Society Party (DTP) into mainstream Turkish politics, there was initially some speculation that this would mark the beginning of a political solution to the Kurdish problem. In practice, the AKP has decided not so much to pull the Kurdish DTP into Turkish politics as to eliminate it through legal and political means. The AKP envisions becoming the representative party of a new Islamic Kurdistan, creating social ties through charitable Islamic NGOs that will eventually lead to the development of a new political power-base for the AKP in southeastern Turkey. With regional elections approaching next year, the AKP is determined to increase the surprising strength the party showed in the region during the last elections. AKP rule has benefited the Kurdish middle class through investment initiatives while the Gülen movement and other NGOs have stepped in to provide assistance to the lower classes of Kurdish society. The DTP accuses the AKP and other Islamic organizations of using charity to wean Kurdish voters from the DTP (Today’s Zaman, December 31, 2007). With the DTP still tightly tied to imprisoned PKK leader Abdullah Öcalan, the PKK’s continuing series of terrorist bombings is alienating Kurdish voters who might otherwise support the DTP. In a recent interview with two aides of PKK military leader Murat Karayılan, the PKK officials admit that the AKP’s popular stand on removing the ban on Islamic headscarves for women poses a serious threat to Kurdish support for the PKK and DTP. PKK enthusiasm for an armed solution to the conflict appears to be waning (Sabah, February 5). A boost in social welfare in southeastern Turkey is directed at the poorer classes of Kurds who have traditionally supplied the manpower for local insurgencies. In the early post-war days of the Turkish Republic, Kurdish nationalists quickly realized they did not have the necessary support to mobilize the masses as part of their aim of achieving independence for Kurdistan. A number of present and former military officers formed the secret Azadi (Freedom) group with the intent of providing military support for a revolt to be led by religious figures capable of rousing such mass support, but the organization was broken up by Turkish security forces in 1924. The 1920 Treaty of Sèvres had promised the creation of a new Kurdish state from the ashes of the Ottoman Empire, but Mustafa Kemal Atatürk’s rejection of the treaty brought the nationalist project to an abrupt halt. The conservative and largely rural Kurds opposed Mustafa Kemal’s secular reforms and the abolition of the sultanate and caliphate in the early 1920s. The caliphate was the strongest bond between the Turkish and Kurdish communities in Turkey and its elimination was deeply opposed by the Kurds, who had turned out in great numbers in response to the Sultan/Caliph’s call for jihad during the First World War. As traditional religious schools were replaced by modern Western-style academies, Kurdish anger grew and both nationalists and religious leaders saw an opportunity. The eventual rebellion, led by the Kurdish Sufi, Shaykh Said Piran, lasted only a brief two months in 1925, but marked a turning point in Kurdish-Turkish relations. This peasants’ revolt was centered in the mountains north of Diyarbakır. Only Sunni Kurds participated—the Alevi Kurds, who practice a mix of Shi’ism and Bektashi Sufism, initially favored the secular reforms as a means of freeing themselves from periodic repression by the Sunni majority. Said was sympathetic to the aims of the nationalists, but these views were not shared by his fellow shaykhs. Naqshabandi Sufi shaykhs provided the core leadership of the revolt. Though many of these had military experience during WWI, the military skills of the imprisoned Azadi veterans were still sorely missed. 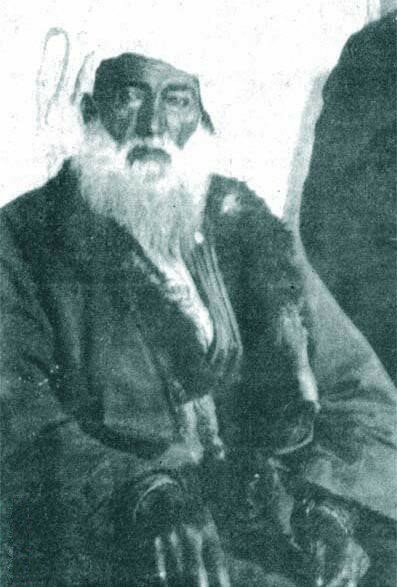 A Qadiri Sufi, Shaykh Mahmud, had already tried and failed to lead a rebellion only a short time earlier and a revolt by the Alevi Kurds—the Koçkiri Rebellion—had been suppressed in 1920. Shaykh Said roused the rural population by maintaining that Islam was under attack, urging the restoration of the caliphate while using the language of martyrdom and jihad. Columns of peasants marched into towns carrying green flags and Qurans, meeting little opposition from the mostly Kurdish gendarmerie. Small detachments of regular infantry and cavalry were swept aside, with a number of artillery pieces falling into Kurdish hands. The rebellion reached its crest when 10,000 rebels besieged the walled city of Diyarbakır. 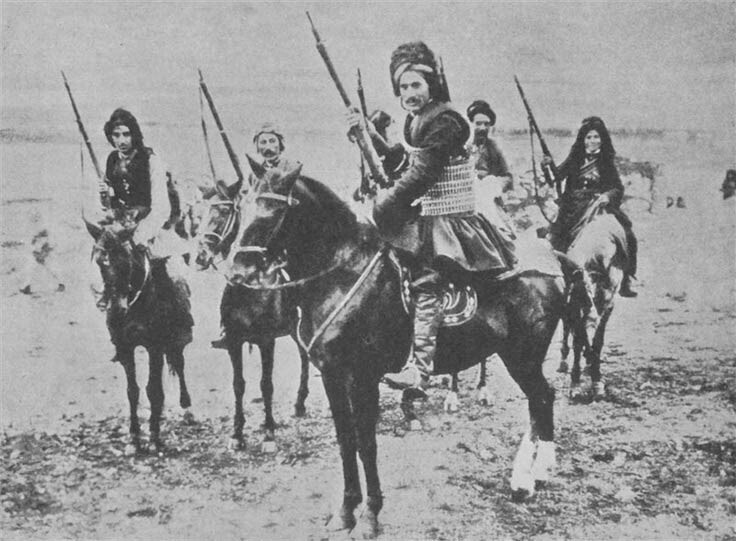 Unable to take the city from its resolute commander, Mursel Pasha, the rebels began to realize the intervention of their revered shaykhs was not going to be enough to topple the Turkish state. The inevitable government counter-offensive began in late March, with attacking planes of the Turkish Air Force driving panicked Kurds into the mountains, where they were destroyed by Turkish infantry. Shaykh Said and 47 others were executed in September 1925. Following the rebellion, all Sufi orders in Turkey were abolished by order of Atatürk, with many of the Kurdish Naqshabandi shaykhs crossing into the Kurdish region of Syria, where their descendants remain active today. The dervish orders were abolished because of their ability to organize clandestine political networks. The authority of the shaykhs allowed them to cross tribal lines in their organizing efforts. Sufi meeting halls which had once been a refuge from police surveillance were permanently shut down after the revolt. New powers were assumed by the state in the wake of the rebellion, setting back Turkey’s democratic development. Existing restrictions on the expression of Kurdish culture and language were invigorated and expanded. Kurdish identity was denied in favor of ethno/cultural assimilation. Rebellions continued under this regime, including one led by Shaykh Said’s brother, Shaykh Abdurrahman, in 1927. At the heart of the AKP’s Islamic offensive in southeastern Turkey is the enigmatic figure of Fethullah Gülen, whose self-named Islamic movement is generally regarded as an offshoot of Naqshabandi Sufism. Despite being charged with conspiring against the Turkish republic in 1999—and eventually acquitted in 2006—Gülen has used the generous donations of his followers to build an international network of Islamic schools and NGOs. Though he has been a resident of the United States since 1999, Gülen is believed to have close ties to the highest echelons of the ruling AKP, many of whom also have connections to the Naqshabandi Sufis. Gülen is a follower of the teachings of Kurdish philosopher and religious scholar Said al-Nursi (1876-1960), formerly known as Said al-Kurdi. As a Naqshabandi Sufi in the 1920s he declined to participate in Shaykh Said’s rebellion on the grounds that the Turkish nation had been at the service of Islam for 1,000 years. Although al-Nursi preached Islamic unity regardless of national borders, there have been efforts recently from Kurdish opponents of Gülen to emphasize al-Nursi’s Kurdish identity over Gülen’s alleged “pan-Turkism” (KurdishMedia.com, January 20). Today Gülenists, some of whom fly in from Istanbul, distribute food to the poor, manage schools and provide much-needed medical services in southeastern Turkey. Since 1994 the Gülen movement has even opened eight schools in Kurdish northern Iraq where their opponents have accused them of spreading “Turkish racist ideology.” The schools are nevertheless very popular with the families of Kurdish bureaucrats and politicians (Turkish Daily News, December 26, 2007). Other Islamic NGOs are active in southeastern Turkey, including Mustazaf-Dar, believed to have ties to the Turkish Hezbollah (Today’s Zaman, December 31, 2007). There also appears to have been interest in Kurdish Islam from a more nefarious source, the Turkish “deep state” apparatus known as Ergenekon, members of which were recently rounded up by Turkish security forces (see Terrorism Monitor, February 7). Ergenekon grew out of NATO’s Operation Gladio, a secret Cold War formation of military and security personnel designed to offer prolonged resistance in the event of being overrun by Soviet forces. In Turkey the Gladio operation survived the Cold War by establishing deep roots in various political, military, security and criminal organizations. At the same time, the group began to assume guardianship of an ideal and rigidly Kemalist Turkish nation. Following the arrests in late January there were reports that Ergenekon had held talks with the PKK and Dev-Sol (the Revolutionary People’s Liberation Party/Front) in Germany and had even started organizing a Kurdish Islamist terrorist group as part of their plan to spread chaos in Turkey prior to a military coup scheduled for 2009 (Yeni Safak, February 2; Istanbul Star, January 28). Another report claimed that the gang had recruited members of the Kurdistan Freedom Falcons—a PKK offshoot—to blow up a bridge near the headquarters of the Turkish air force and navy (Hürriyet, January 29). The fourth stage of Ergenekon’s plan to create conditions designed to enable a military coup is also said to have called for the creation of sham terrorist groups whose activities would spark conflict between Turks and Kurds (Zaman, January 28). A January 25 report in the Turkish newspaper Hürriyet claimed that some of the Ergenekon agents were formerly active members of Turkish Hezbollah. For some years now rumors have circulated in Turkey charging that Turkish Hezbollah was the creation of the Gendarmerie Intelligence Group Command (JITEM), a secret and officially denied agency formerly led by prime Ergenekon suspect, retired Brigadier General Veli Küçük. The Hezbollah were recently described as “predominantly and passionately Kurdish and can be seen as virtually the linear descendants of the participants in the failed Shaykh Said revolt of 1925…” . While ostensibly seeking the establishment of an Islamic state, the Turkish Hezbollah has actually had more in common with Turkey’s right-wing extremists than with other Islamist movements. Its membership is largely Kurdish but in general the organization has few ties to the community. The movement was engaged for years in a brutal and bloody struggle with the PKK with little interference from authorities. Hezbollah denounces the PKK as anti-Muslim Marxist-Leninists who collaborate with anti-Turkish Armenians. In January 2000, Turkish police rounded up 2,000 Hezbollah members and killed its leader, Hüseyin Velioglu. After evidence emerged of the movement’s predilection for brutal murders and torture, the group became popularly known as Hizbul Vaset (The Party of Slaughter). Though much diminished in strength, Hezbollah operatives still pose a serious threat to security, particularly through ties to organizations like Ergenekon. The failure of religious-led revolts—of which the Shaykh Said rebellion was but the largest—caused the later Kurdish nationalists to look for new revolutionary models, eventually finding one in secular Marxism. The PKK turned its back on the example of these early “reactionary” tribal and religious leaders in favor of pursuing an independent socialist state free of the tribalism that constantly foiled all attempts to unify the Kurdish people in a single nation. The PKK has nevertheless had to adjust to the Islamic renewal in their home region, moderating their once-strident Marxism through the founding of the Kurdish Prayer Leaders’ Association. The PKK now professes respect for all Kurdish religious practices, including Shi’ism, Yezidism and Zoroastrianism (Today’s Zaman, December 31, 2007). The Naqshabandi movement is active once more in southeastern Turkey, with a lodge in the city of Adıyaman and frequent visits from the shaykhs of the Naqshabandi lodges in Kurdish Syria. The Sufi movements still display remarkable organizational skill; in Iraq this has been applied to a military anti-occupation campaign (see Terrorism Focus, January 8; Terrorism Monitor, January 24). Instead of driving the Kurds away with secularism as they did in the 1920s, the new approach of the AKP now tries to entice the Kurds away from secularism with Islam. If language and ethnicity are insurmountable barriers, then Islam will be the bridge between communities. In combination with a robust military campaign by the Turkish armed forces against PKK bases in northern Iraq, Turkey’s Islamic initiatives in its Kurdish regions are sapping strength from a radical form of secular Kurdish nationalism that appears to be on the defensive and without allies. The problem is whether the military phase of Ankara’s campaign will ultimately prove counterproductive if Turkish Kurds begin to rally around the PKK simply because they are fellow Kurds (see Eurasia Daily Monitor, January 28). Turkey’s strong secular establishment is also certain to express their opposition to the growing “Islamification” of southeastern Turkey.